Peter McKrall is at a crossroads - out of work, fighting a klepto habit, and trying to figure out his next move. Life takes an unexpected turn when a search for his niece's stuffed dog leads him to something else entirely: a bullet-riddled corpse. Talking to reporters lands Peter on the local news, which turns out to be a dangerous spotlight. And now Darla, the troubled daughter of the victim, is reaching out to him - but can she be trusted? When a second murder takes place and evidence is planted in his trash, the cops dredge up Peter's painful history. The only ray of sunshine in this harrowing nightmare is Ruby Jane, whose warm smile melts the winter chill. An unwitting player in a bizarre chain of events, Peter has no idea that the deranged killer is after him - until he takes a shot at Ruby Jane. ©2007 Bill Cameron (P)2013 Audible, Inc. This was a fun book, the story arc a nice mix of case-solving and character redemption. Alas, a few tired old standbys like the outrageously stupid antagonistic cop, the young woman who could have fixed everything if she didn't simply screech incoherent hints like some kind of disabled oracle . . . Most of these tropes are forgivable, and are perhaps made worse by a somewhat over-emotive narrator. The reader's most unforgivable sin, however, is pronouncing Willamette "Will la MET" instead of "Will LA met" as the natives do. It's a sure sign of someone who might also say "O re GONE" instead of Orygun. Some of these things are unforgivable, and are so easily avoided . 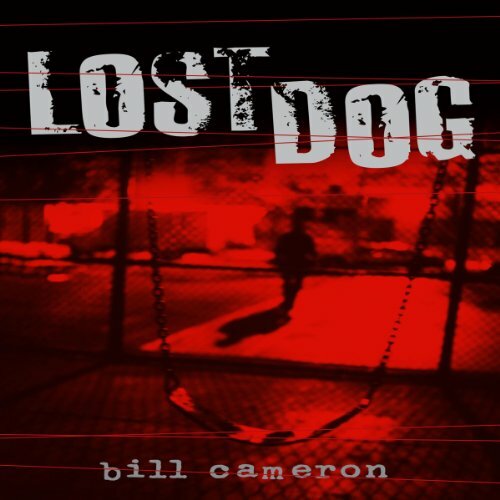 . .
What did you love best about Lost Dog? What Cameron does with characterization is stunning. Three of his major characters are tremendously flawed: an insane killer, an unemployed kleptomaniac sponging off his sister, and a looney young woman who killed her father when she was a child. You hate them at the beginning of the novel. The book begins with a murder told from the point of view of the insane killer. I did not care for the scene, but it kept me reading. Then Peter, the kleptomaniac and the book's main character, is introduced. I disliked him and was tempted to give up on the book. I am glad I did not. He finds himself involved with the murders and you see who he truly is. You see him fall in love. You see him react to and care for the looney girl. You see him become friends with a crusty old cop. You come to understand him, respect him, and you see him grow as a person. Finally, you feel his empathy for the girl and the killer, and because you have seen their lives, you share that empathy with him. To build such characters and manipulate the feelings of readers so well is phenomenal. Cameron does a great job. The crusty old cop, police detective Skin Kadash. He's really a minor character, even though the book is called "A Skin Kadash Mystery." However, he's the only really normal person. even though he has interesting character traits. What does Fred Berman bring to the story that you wouldn’t experience if you just read the book? Berman is exceptional. Each character has a unique voice. Men sound like men. Women sound like women. Without him, I wonder if the reader would empathize with the insane murderer and looney girl as much. In the climactic chapter, Peter (the kleptomaniac) makes a decision that says a lot. I don't want to say more, as it would spoil the ending. The book is not perfect. The beginning could have been done better. The woman that Peter falls in love with is too perfect and her character is not fully developed. I suspect that Cameron slighted her to keep the novel from getting too large, and that was a mistake. But these problems are minor. The book was a joy to listen to. What Cameron does with his major characters is incredibly impressive and a pleasure to read. Overall it was a great book.